Just in time for the holiday season, more than 120 musicians will perform Benjamin Britten’s Saint Nicolas to mark 100 years since the famous composer’s birth. This spectacular music will be performed by the Lakehead University Vocal Ensemble, the Thunder Bay Symphony Orchestra, the Dulcisono Women’s Choir, the Rafiki Youth Choir and guest tenor soloist Albert Greer as Nicolas. Nicole Chandler said the audience will be astounded by Saint Nicolas. “If we can give the sound we’ve been giving in rehearsals the last few days and the sound Britten was looking for, I’m hoping they will be breathless,” said Chandler, a fourth-year Music student at Lakehead University who sings alto. 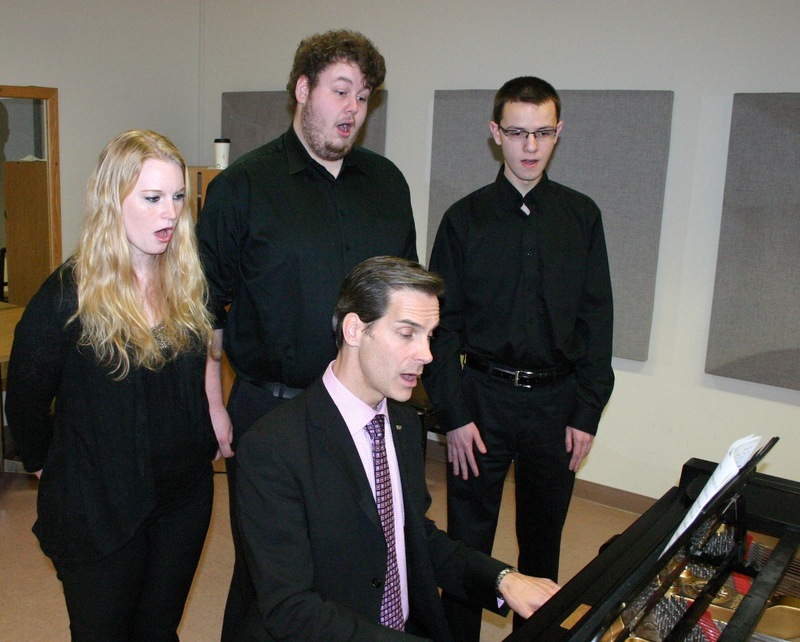 Lakehead’s Vocal Ensemble has been practicing the choral drama since September, working diligently to make it sound the way Britten envisioned it. “The audience will experience different emotions through the whole piece,” said Michael Kennedy, a fifth-year Music student at Lakehead who sings bass. “People will walk away feeling liked they’ve travelled with Nicolas and experienced his life. They will feel a connection with him,” Kennedy said. Bass singer Jared Wallace, in his third year of Music at Lakehead, said he isn’t nervous because it’s an ensemble and he isn’t singing solo. “It’ll feel phenomenal to perform this,” Wallace said, adding that the story will be of interest to everyone. Told in nine movements, Saint Nicolas’s early work to establish doctrine in the church are described along with other parts of his life that the audience will experience and even participate in. “There are moments of movement and unexpected musical and vocal happenings in the piece – it’s not just a sit and behave,” said Dr. Dean Jobin-Bevans, a Lakehead Music professor. “The audience stands to sing in two parts of the piece, so there’s an additional community aspect to the evening,” he said. The performance will be Friday, November 22 at 7:30 pm at St. Paul’s Anglican Church, 808 Ridgeway Street. 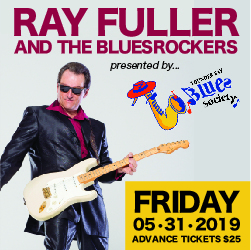 Tickets are $15 for students and $20 for general admission and are available in advance by calling Lakehead’s Department of Music at 343-8787 or at the door.